I'm a trainee journalist living in London. A personal blog is forthcoming. 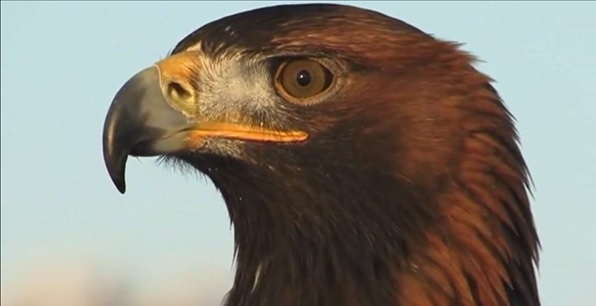 Sharing a car park with Loch Lomond Shores, the popular tourist gateway on the banks of Loch Lomond at Balloch, the Loch Lomond Bird of Prey Centre is a secluded haven for bird-lovers nestled into the wooded outskirts of the wildlife-abundant Trossachs National Park. Although fairly small and easy to miss in the shadow of its tourist-enticing neighbour, the centre is home to over 20 species of bird from all around the world. Visitors enter through a cute garden gate, arriving at the front office cabin where tickets can be purchased for £8 or less and umbrellas are willingly lent by the staff, who have become accustomed to spending their days in the rain. Then it's into the wooded centre to meet the birds. The small and medium owls are the first birds to be seen, often huddled in their tiny bird boxes to shelter from the Scottish weather. Plaques on the front of the aviary detail each bird's name and breed, where they come from, what they like to eat and their individual natures. My favourite of the smaller owls was Gizmo, a Chaco Owl from South America who has beautiful plumage and responds to his name. The larger owls are next. These include Eurasian Eagle Owls, a Great Grey Owl and an Indian Eagle Owl as well as the stunning Asian Wood Owl, Shakira who, in the wild might be found in southern India, Sri Lanka, Borneo, Sumatra or the Malay Peninsula eating small mammals, birds and reptiles. 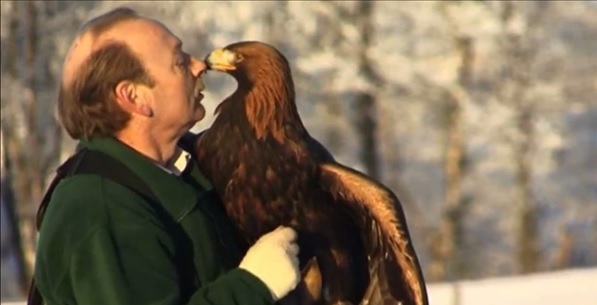 In the middle of the centre, visitors can find its star attraction, Orla the Golden Eagle. Golden Eagles are the most widely distributed species of eagle but are most likely to be found in remote locations in the North West of Scotland. They are fast and skilful hunters who may cover a territory of up to 200 square kilometres in the wild. Orla is a beautiful bird who knows she is the queen of the centre. A video of her "first serious flight at the centre" can be found on their website. The furthest row of pens into the centre is where the hawks and falcons live. As well as information about the individual birds, there are also plaques that share the details and history of falconry, which is also expanded upon on the centre's website. At the end of the tour it's well worth stopping in the gift shop to pick up bird-related stationary and soft toys and sign the guest book. The Loch Lomond Bird of Prey Centre relies on this income to help maintain the birds and all contributions are welcome. I was the only member of the public at the centre during my visit so I had the opportunity to talk to the staff one-on-one and ask questions about the birds as I went round. They try to offer guided tours to anyone who wants them, which is well worth it to learn about the individual personalities of the birds, their relationships with each other and their routines. The owner was friendly and helpful and gave me an incredible insight into the work they do to look after and exercise the birds, as well as their worldwide conservation efforts. He explained that his plans for the future include more interactive experiences between guests and the centre's winged inhabitants, of which they already have several options. Some of the hands on bird experiences include the hour long Hawk Walk for £35 per person, a Meet the Owls Experience for £60 per person, and the Meet the Birds Experience, including the opportunity to handle Orla the Golden Eagle, for £100. Individual birds are also available to sponsor. Prices are tiered from £35 for small owls to £150 for Orla. In exchange for your support, you will receive a certificate and a 12 month pass for free entry to the centre. A sponsor nameplate will be displayed on your bird's pen or aviary. Further information on how to sponsor can be found on their website. The Loch Lomond Bird of Prey Centre is located at Balloch, about a 30 minute drive from Glasgow and is open all year round, apart from Christmas Day and New Year's Day. From November to February the opening times are 9:30am – 4:30pm. Between March and October the centre stays open until 6:00pm. Entrance fees are £8 for adults, £6 for concessions and £4 for children, with free admittance for the under threes. Group discounts are available. Call 01389 729 239 for details and to discuss booking additional activities. I've never seen an Asian Wood Owl before, thanks for sharing.